HC synthesis-based multi-functional automatic transmission fluid for use in modern automatic transmissions. This fluid is red in color. See our Rowe Oil Finder Blog which outlines a fast and convenient way to identify the correct fluid(s) for your application. 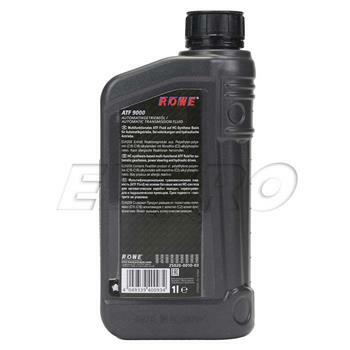 ROWE is a high performance German auto fluids company. ROWE is a relative newcomer to the auto parts industry, but they've already made a name for themselves. Founded in 1995 in Rheinhessen, Germany, ROWE expanded so quickly they had to move to facilities in Bubenheim within five years. ROWE's success can be attributed to the combination of high quality products, short delivery times, and attractive pricing. In the spring of 2014 ROWE moved again to larger facilities. Their new factory in Worms is one of the largest and most modern oil facilities in Europe, featuring 32 mixing tanks, six state of the art filling lines, and nearly a million square feet of real estate. ROWE's high performance ATF fluid has lowered viscosity for improved fuel efficiency. It's specifically developed for use in modern multi-speed automatic transmissions and saves fuel while minimizing wear. 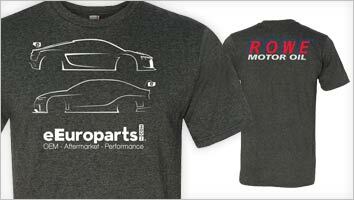 eEuroparts.com® has a growing line of ROWE products that are perfect for your vehicle, whether you drive 55 or 155. 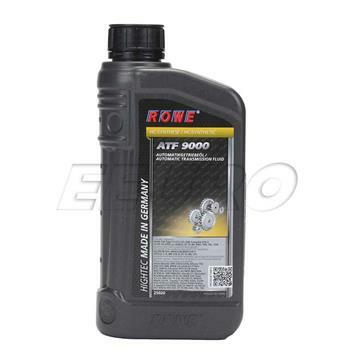 If this is not the exact Auto Trans Fluid (HIGHTEC ATF 9000) (1 Liter) (Red) you are looking for, or you would like this part in a brand other than ROWE, please contact us and one of our customer service experts will help you locate the exact part you need. eEuroparts.com® proudly offers wholesale prices and fast shipping available on most orders. We also provide inexpensive and guaranteed 3 day, 2 day, and Overnight shipping options, so if you need your Auto Trans Fluid (HIGHTEC ATF 9000) (1 Liter) (Red) tomorrow, eEuroparts.com® can deliver! Every eEuroparts.com® order is track-able, meaning you'll know exactly where your Auto Trans Fluid (HIGHTEC ATF 9000) (1 Liter) (Red) is at every step of the shipping process. eEuroparts.com® also displays your Expected Ship Date and transit time in your Cart, making our entire shipping process simple and transparent.